Do you open your patio doors just to get some fresh air? Wouldn’t it be nice to open up those doors to change the complexion of your house? Here at New Age Global Builders we can make that happen. A patio is more than just a place to set up your table and chairs, allow us to show you how your entire backyard can change in just days. Let us show you how a built in grill or a water feature can bring your backyard to life and have all of your friends talking about how they wish they had your backyard. Our services include both residential and commercial building contractor services. 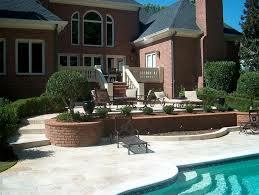 We are insured and licensed commercial and residential building contractors. Not matter the size or shape of your back yard we make it work, decks, landscapes, porches, you will get the perfect outdoor space. For more than two decades we have been on the business designing and building patios, you have been waiting too long, this is the time. why delay something you have been dreaming of? Get started today,call now and we will give you an estimate in no time!. We provide a whole range of contracting services and we provide all types of emergency services such as roofing in NYC for residential and commercial.